Despite a half-hearted “win” in the most recent StarCaps ruling, the NFL has reportedly decided to keep pressing the issue. On Thursday, the NFL is going to try and appeal to the United States Supreme Court, appealing the ruling that allowed the State court case to take place in the first place. The complicated and convoluted StarCaps litigation continues to play out in multiple forums. Six days after a judge in Minnesota ruled that the NFL had violated state drug-testing laws but that the suspensions of Vikings defensive tackles Pat and Kevin Williams would not be overturned, the NFL has decided to appeal to the United State Supreme Court the federal rulings that allowed the state-court case to even exist. According to Brian Murphy of the St. Paul Pioneer Press, NFL spokesman Greg Aiello confirmed that the attempt will come on Thursday. It’s the equivalent of a Hail Mary pass; the U.S. Supreme Court receives thousands of petitions for what the legal beagles call “certiorari,” and the highest court in the land grants the request in only a fraction of the submitted cases. 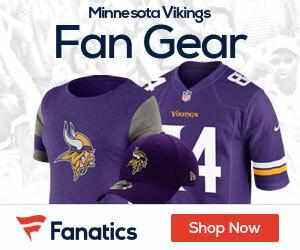 So why does the NFL care, given its “win” in Minnesota? The ruling from Judge Gary Larson could be altered on appeal, especially since some disagree with the notion that the NFL could be in violation of the law yet have no consequence. Also, even if the league prevails in Minnesota, it would prefer a ruling that exempts the steroids policy from the application of the law of any specific state, like Minnesota. In other words, this thing ain’t over yet.